Tiptop Audio, manufacturer of Eurorack modular synths, have launched an official Throbbing Gristle version of their recently-released ONE module. The original ONE module was made available earlier this year, consisting of an affordable sample player module that allows you to use sounds from SD cards. 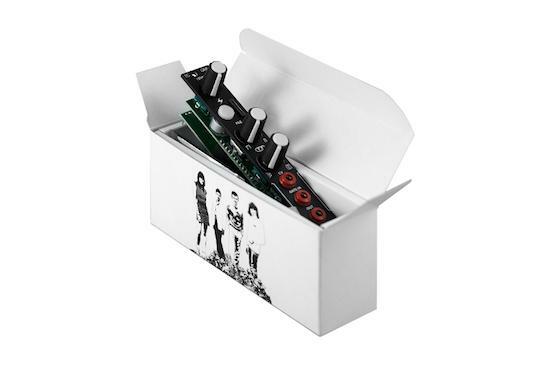 The new Throbbing Gristle-branded module, named the TG ONE, comes with two SD cards of samples taken from Chris Carter's archive of recordings by the group. Chris Carter and Mute Records both contributed to the production of the module. The samples included on the SD cards are described as having been "further reworked and revised, modified and mangled" by Carter. Featured on the cards are various percussion and pad sounds, amongst other materials. You can hear the module being used in a live set by Carter Carter from earlier this month below and find out more about it here. The release of the TG ONE follows the development of Chris Carter's work alongside Future Sound Systems earlier this year in bringing his Gristleizer unit to Eurorack modular synths.